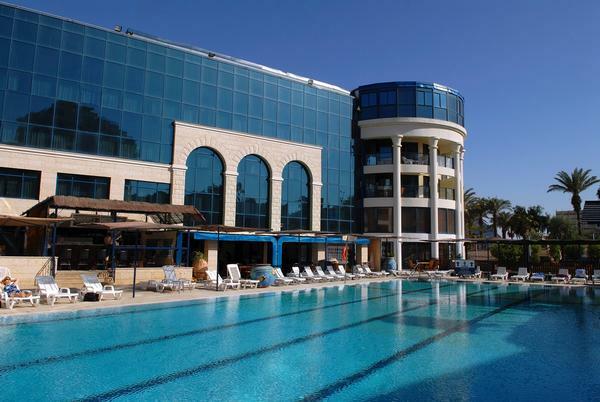 The Central Park Eilat Hotel is located in the heart of Eilat, in the city’s main park, a short walk from the beach and the promenade, opposite the airport and the park of spectacular fountains. The best hotel in Eilat, Israel. The hotel has 170 rooms suitable for a pampering vacation for couples or a family vacation, among them garden rooms, rooms with balconies, and roomy suites. In addition we’ve built 27 new elegantly designed apartments. 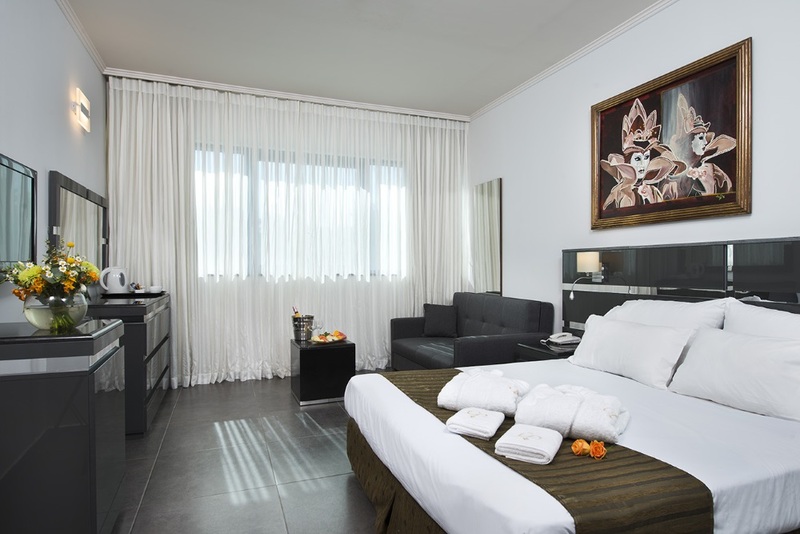 In the hotel there is a wide range of services and facilities for a perfect vacation experience. Room service and housekeeping are held to high standards. An elegant hotel restaurant, an active bar at the poolside and a bar in the hotel lobby, a half Olympic size pool and a shaded toddler pool, a gym, a spa, a synagogue, cable television, and a children’s club. 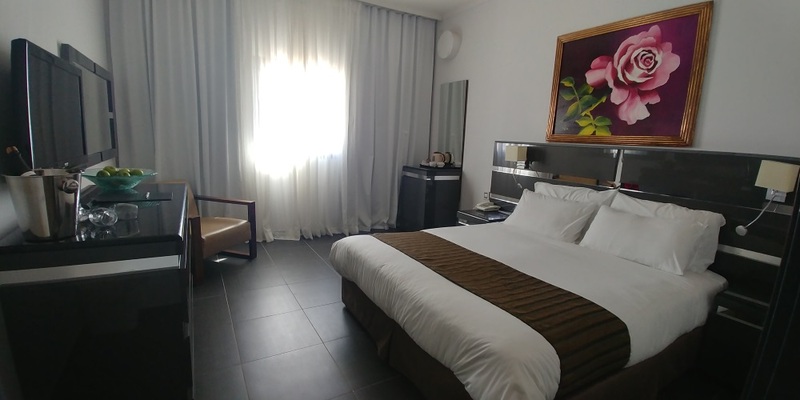 Royal SuiteThe suites are 80 square meters in size, consisting of 2 bedrooms and a living room, suitable for up to 6 people.All the suites have full air conditioning, a fully equipped kitchen and a luxurious dining area, a balcony with a seating system. In the parents' unit is a bathtub, in the living room is a full-size living room and a cable LCD screen. Premium SuiteThe garden suite consists of 3 bedrooms and a living room. The suite is 97 square meters in size, Suitable for up to 7 persons. 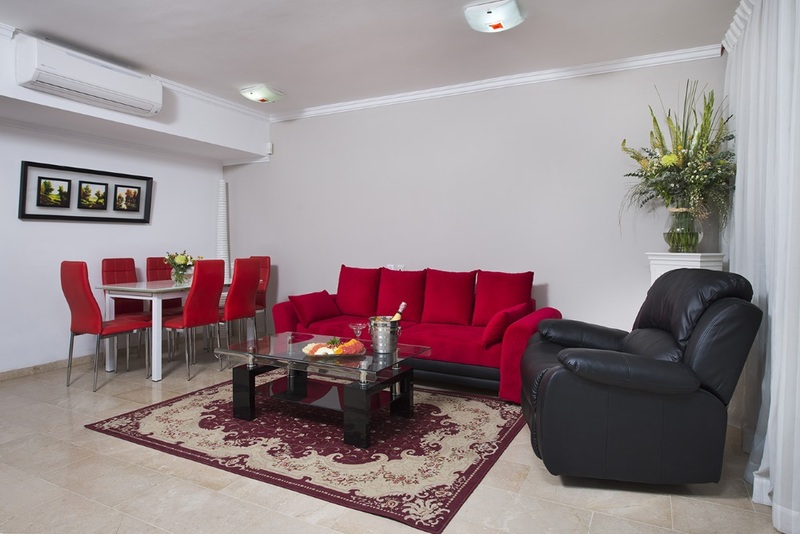 All suites have full air conditioning, fully equipped kitchen and luxurious dining area, Balcony with seating system. Each suite has 2 shower and toilet rooms, one central and one in the parents' unit bathtub. Fully furnished living room and LCD screen with cable. 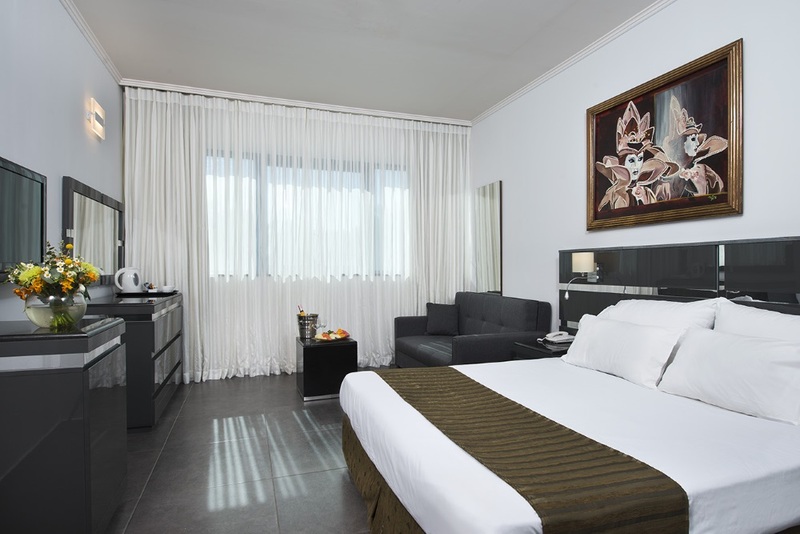 Deluxe SuiteThe suites are 80 m² in size and consist of 2 bedrooms And a living room, suitable for up to 6 people. 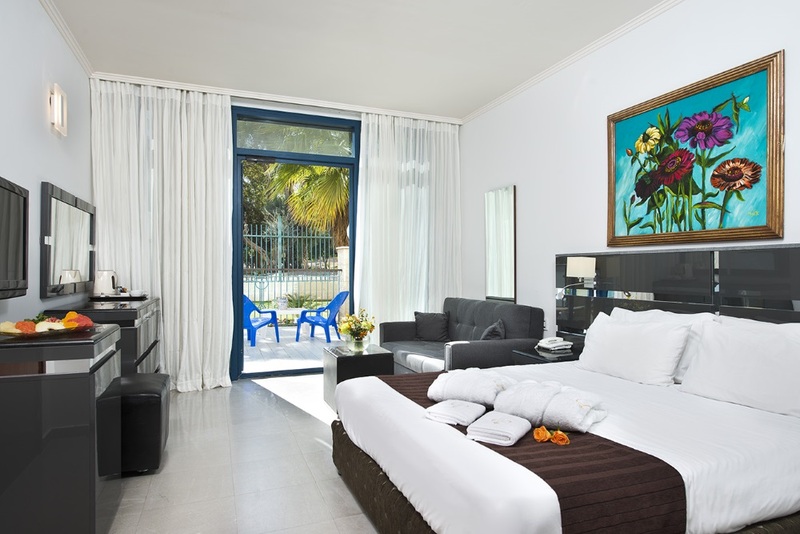 All suites have full air conditioning, fully equipped kitchen and luxurious dining area, Balcony with seating system. Each suite has 2 shower and toilet rooms, one central and one in the parents' unit bathtub. Fully furnished living room and LCD screen with cable. SuperiorDouble bed. 3 adults / couple + 2 children. Private bathroom and shower. Rooms are well equipped and pleasant, some facing the park, some with city views and some with the hotel's pool (no balcony). Each room has a double bed. Some rooms have a sofa bed and a seating area with chairs. 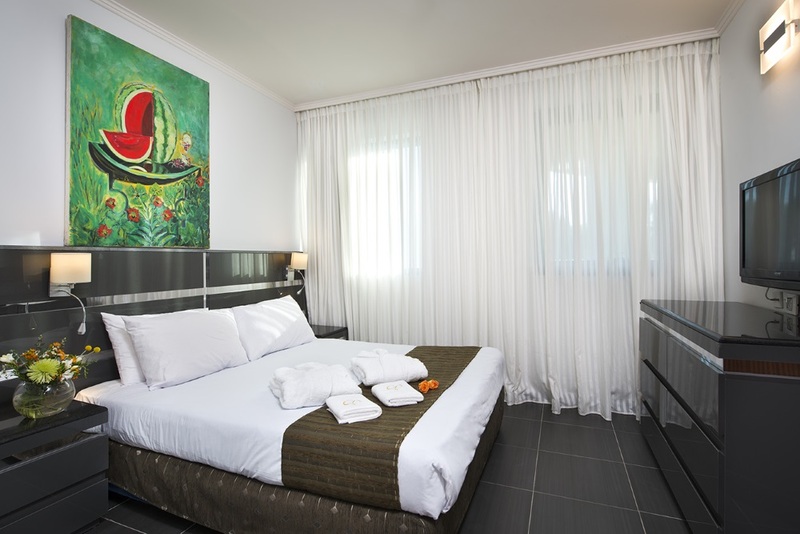 The rooms have a bathroom, minibar, telephone, cable TV, coffee maker and safety deposit box. There are also a number of rooms suitable for the disabled. SuiteDouble bed. 2 + 3 children. Private bathroom and shower. Each suite includes a two-room separated system, bedroom and living room. All suites have a balcony with garden furniture, facing Benjamin Park or the pool. All suites are equipped with double bed, double wardrobe, extra spacious bathroom, kitchenette with coffee set, cable TV, telephone, minibar and safe. The suites are suitable for a couple + 3 children. terras roomGuest rooms with a private courtyard facing the Benjamin Park next to the hotel. Rooms are located On the first floor of the hotel. The rooms are suitable for couples, a couple + 1, a couple + 2, three adults. All rooms have full air conditioning, cable LCD screen, refrigerator, coffee set, bath and toilet. Sofa opens if necessary.